July 13, 2017, 1:49 p.m. Welcome to the sixth installment in a series that delves into the latest insights from the YouGov Affluent Perspective 2017 Global Study. Each year, we study the attitudes, lifestyles, values, and shopping behaviors of the world’s most successful households. The US has long been a popular destination for travelers looking to explore everything from dense urban environments to wide open spaces. Indeed, 38% of the non-US global affluent intend to visit America within the next two years. Meanwhile, the majority of China’s affluent — 56% — report having plans to do the same. 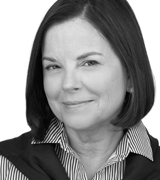 This group is crucially important for the US travel industry. According to the National Travel and Tourism Office, Chinese travelers spend the most of any foreign visitors — an estimated $34.8 billion generated by 2.6 million visitors through the first 10 months of 2016. This translates to an average spend of approximately $13,400 per traveler. Among the Chinese affluent preparing a trip to the US in the next couple of years, many of them share a common item on their To Do list: luxury shopping. Data shows that 51% of this group say they travel internationally to buy luxury goods and services, with the United States ranking fourth among countries they visit most for shopping. Many are drawn to the nation&apos;s major cities, such as New York, Los Angeles, San Francisco, Las Vegas, and Chicago. Members of China’s affluent who have visited the US for shopping and travel for luxury shopping are highly enthusiastic about coming to the US to buy luxury goods. Those who intend to do so are also young, cultured, educated, successful, extremely happy, and comfortable anywhere in the world. In terms of brand preferences, 92% of these affluent Chinese tourists prefer well-known brands that are recognized around the world, while 84% report that shopping is an important factor when deciding on a leisure travel destination. For this group of Chinese travelers, luxury shopping is all about service, and their continued loyalty won’t be won without it. Nearly two-thirds, for example, believe that a high level of customer service distinguishes luxury brands from non-luxury brands. Furthermore, a full 100% agree that a great service experience will increase their chances of returning to buy more. On a deeper level, these shoppers are about four times more likely than members of the global affluent overall to want an emotional sense of “warmth” from luxury brands. They’re also highly likely to agree that feeling as though they’re in a personal relationship with a brand plays a role in their loyalty to it. 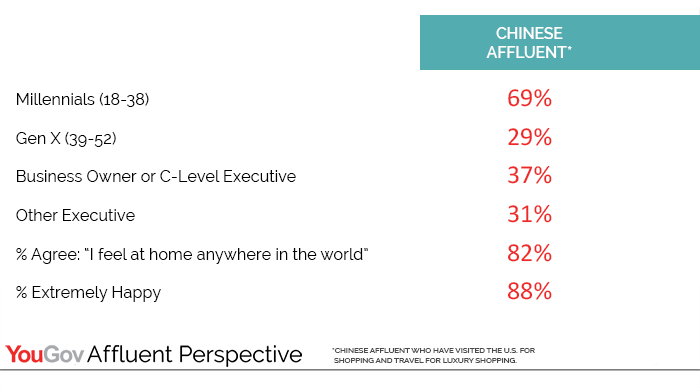 China’s affluent who have visited the United States for shopping and travel for luxury shopping know they can purchase the items they desire in their home country — so why fly across the Pacific to shop? We believe that these consumers want more than fresh sneakers or a fancy blouse; they want a unique experience that elevates their relationship with the brands they love. They want things, yes, but also the pleasure of walking the aisles and seeing the sights. They want the pure joy that comes from stumbling across something unexpected or new. For retailers, this means that, if done right, the flagship store can still serve as a brand beacon, and provide a place for customers visiting from afar to spend their afternoon exploring.